Folder Sync is a backup program that can performs comparisons between two directories and then reports new, updated, renamed, moved and deleted files. 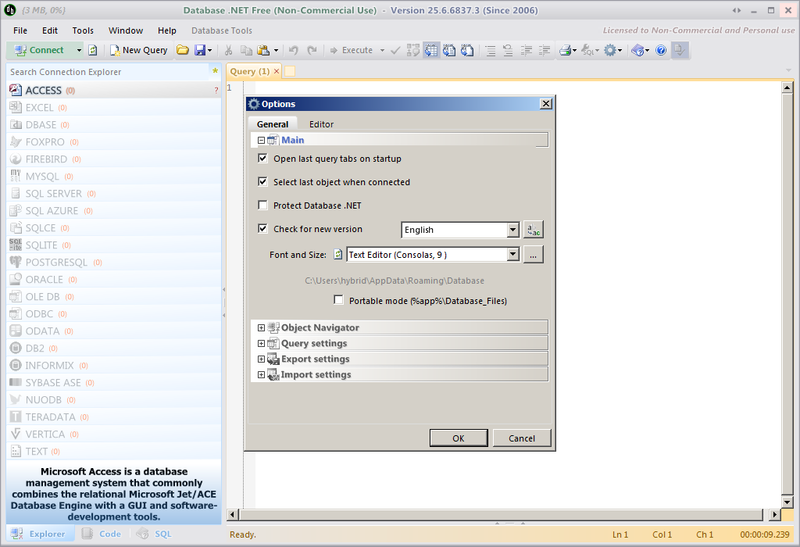 The program can performs synchronization, as well as full or differential (only items that have changed) from the source to the destination path. smaragdus: this is really something we should get into in the forums. Folder Syncv1.0.0 build 208 is crashing in Win7Pro32. I use Folder Syncv1.0.0 build 110, and have Folder Syncv1.0.0 build 205, too; neither of these two crashes. 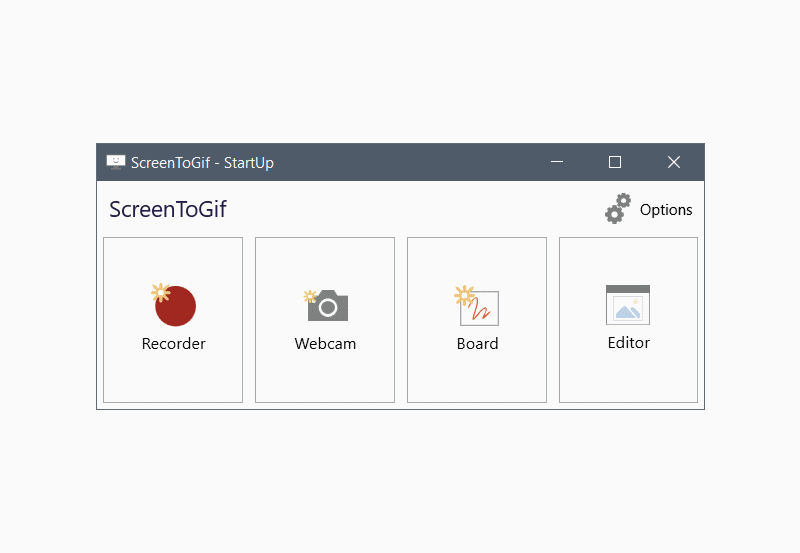 Creates 'Saleen Software' folder in Appdata/Roaming. 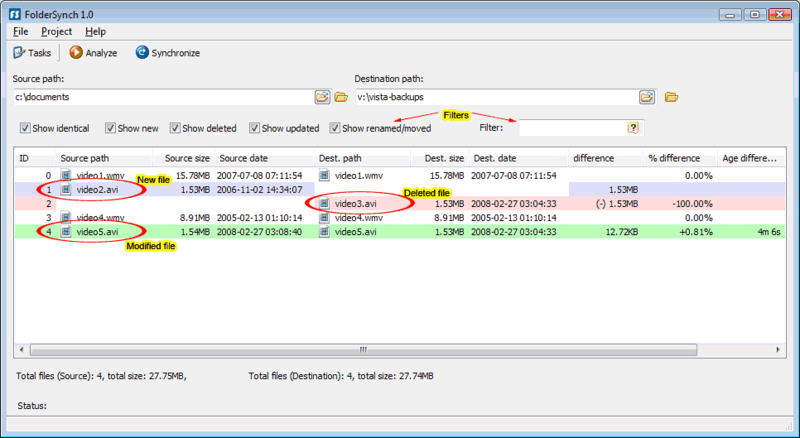 Directory Monitor enables real-time monitoring for new files/folders or changes. The program can monitor unlimited directories and network shares, as well as filter results and execute a program/script at a given event. The program can log all changes and allows notifications via balloon messages or taskbar animation. How to extract: Download the "Portable" ZIP package and extract to a folder of your choice. Launch DirectoryMonitor.exe. AstroGrep is a search utility for finding text within files quickly. Text found within each file is displayed with sidebar options for further filtering and preferences for text result styling. Searches using keywords and regular expressions are supported with options additionally for printing, storing recently used paths and opening files externally with a text editor (down to the exact line number and column, if supported by the editor). 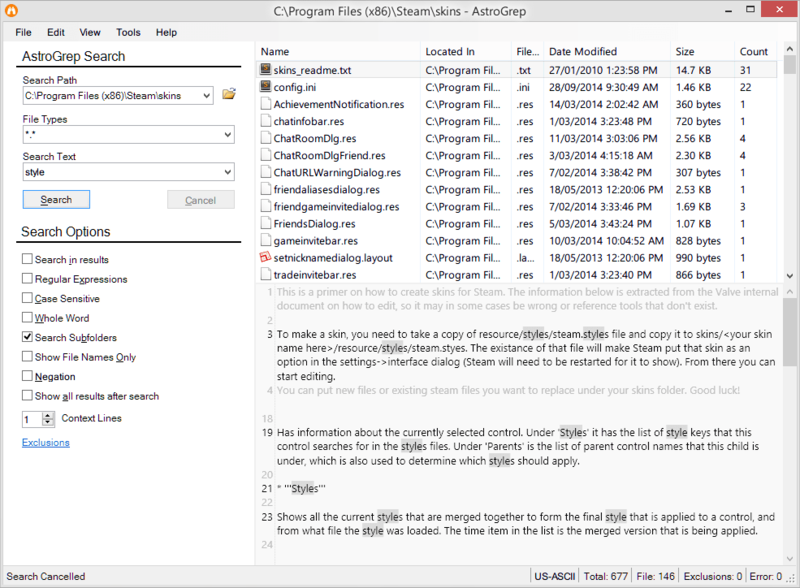 The program is not an indexing search program, meaning it checks the contents of all files each time it searches. Based on the popular grep search used in *nix. How to extract: Download the "portable" ZIP package and extract to a folder of your choice. Launch AstroGrep.exe. Can't find what you are looking for? This list shows entries with Others - .NET Apps as a supplementary function. You can view more entries with Others - .NET Apps as a primary function.